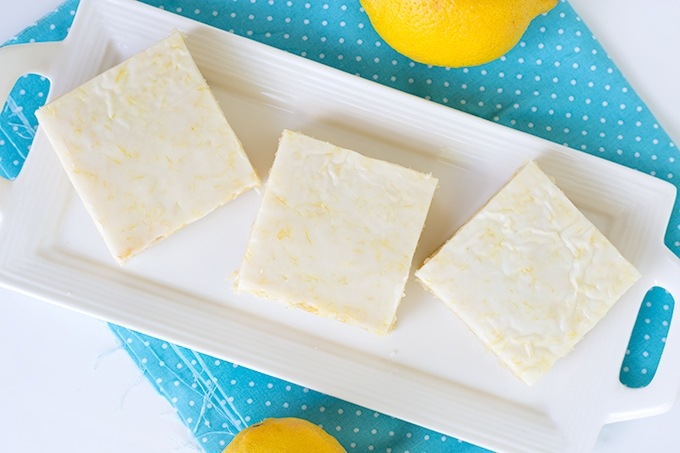 Sweet and tangy Lemon Brownies are the perfect bar for summer! 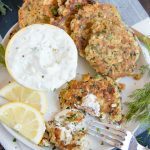 They’re super easy to make and the fresh lemon keeps the bars tasting so light. For an extra pop of flavor, add a lemon glaze to the top! I love making brownies of any sort. The butter is just melted so there’s no waiting for it to come to room temperature. Perfect for those people like myself that do everything last minute. 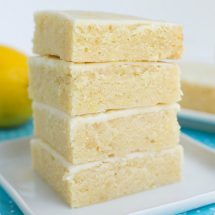 These lemon Brownies can be whipped together with a spatula instead of digging out the hand mixer. Plus, when using the spatula, you’re less likely to overbeat these and make them tough. The lemon glaze makes these brownies all the more amazing! The brownies have a nice lemon flavor, but the lemon glaze really adds a pop and it helps keep the brownies moist. These brownies don’t have a meringue crinkly top, so the glaze adds a nice finish too. I wanted to use fresh lemons rather than lemon extract for these brownies. I knew that I was going to need lemons for the glaze and for the zest in the brownies anyway, so why not just find a way to use it in the brownies too. I’m incredibly happy with the results. I typically add extract in my recipes because I can’t get the same amount of flavor without adding too much liquid. To be honest, I was worried about the same issue with these lemon brownies. Turns out, you can successfully add four tablespoons of lemon juice and still have a great reliable recipe. 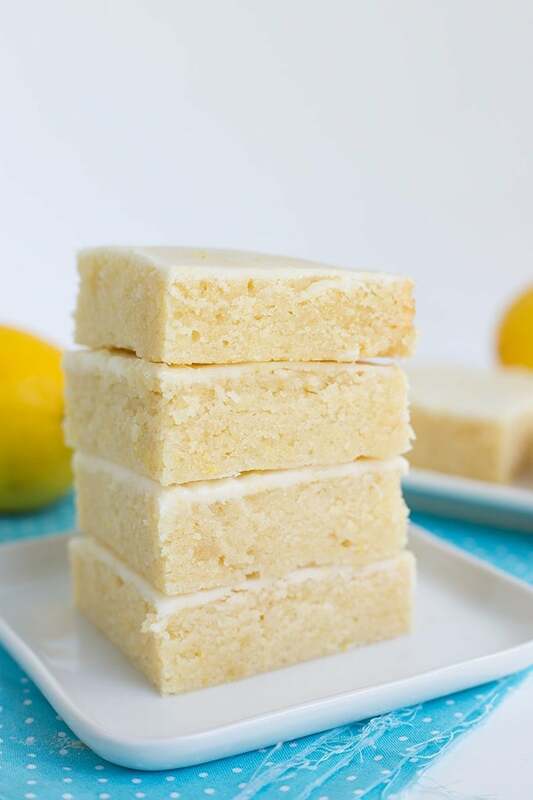 If you’re a lemon fanatic like me, you have to check out some of these lemon desserts for the summer! 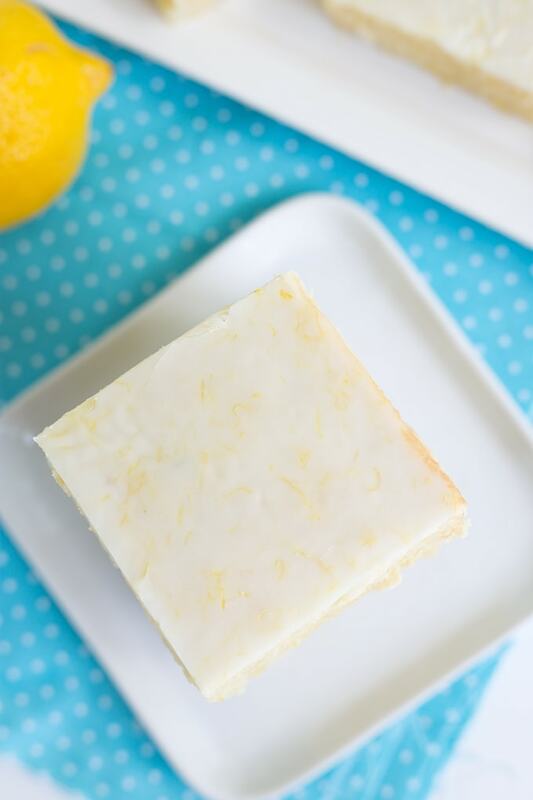 Sweet and tangy Lemon Brownies are the perfect bar for summer! 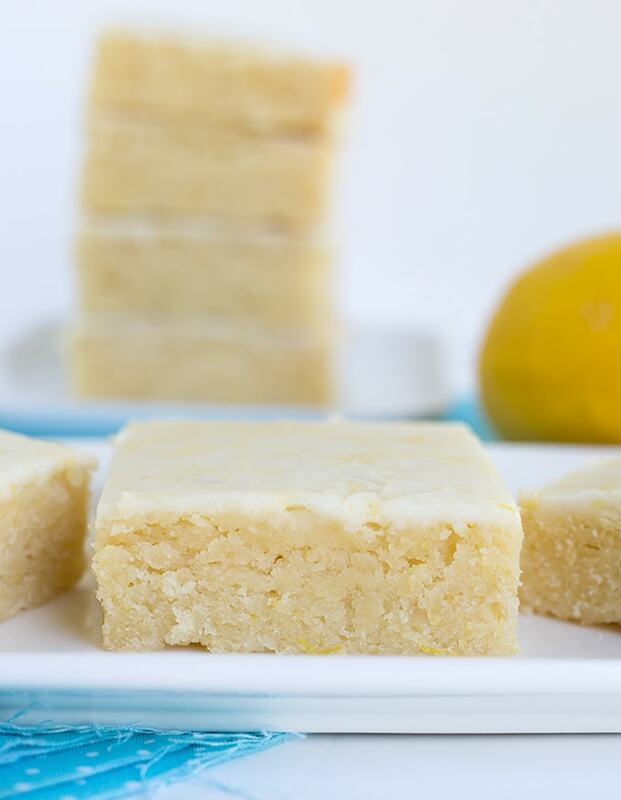 They're super easy to make and the fresh lemon keeps the bars tasting so light. For an extra pop of flavor, add a lemon glaze to the top! Preheat oven to 350 degrees. Line an 8x8 square pan with tin foil. Spray with nonstick cooking spray. In a large mixing bowl, stir together the butter and sugar until combined. Add the eggs, lemon juice, and lemon zest and stir just until the eggs are incorporated. Stir in the flour and salt until the flour is just worked into the batter. 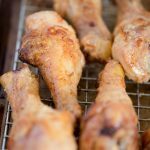 Place into the preheated oven and bake for 28 - 30 minutes until the edges are golden brown. In a small mixing bowl, add in the powdered sugar, lemon juice, and lemon zest. Stir until the glaze is smooth. Pour the glaze on the cooled brownie and spread to the edges. Let the glaze set up. Pull the tin foil out of the pan and cut the brownies into 9 squares.